Fusion energy is the same energy that is created by the stars and the sun. Fusion occurs when two atoms fuse together to form a heavier atom. The total mass of the new atom is less than that of the original two that formed it. The missing mass is given off as energy which can then be harnessed Live Science, “What is Fusion?” (September, 2012) http://www.livescience.com/23394-fusion.html Live Science, “What is Fusion?” (September, 2012) http://www.livescience.com/23394-fusion.html Live Science, “What is Fusion?” (September, 2012) http://www.livescience.com/23394-fusion.html . The process of fusion is very difficult to create on Earth. The matter used for the reaction must be contained in a state known as plasma (when they heat at very high temperature). With the heat, the plasma expands, making the reaction much harder to achieve. It is also difficult to cause plasma to react in small amounts because small amounts have a harder time maintaining a chain reaction. Large amounts of plasma form a cloud with its own gravitational pull, making it easier to contain in a reactor when more energy is produced. However, large amounts of plasma take a lot of room to contain. The major fuel for a fusion reactor, deuterium can be extracted from water which contains more than 10 million tons of deuterium. Tritium is produced from lithium, which is available from land deposits or from seawater. This fuel could satisfy the world’s power requirements for thousands of years. In order to release energy for production of electricity, the deuterium-tritium fuel must be heated to about 100 million degrees Celsius. This high temperature is more than six times hotter than the interior of the sun, which is estimated to be 15 million degrees Celsius. The problem with creating high temperatures is confining the deuterium and tritium under such extreme conditions. At such high temperature particles become charged and confined by a magnetic field which hinders the usual expected activity of the particles during energy production Oak Ridge National Laboratory (ORNL), “Fusion Facts” http://web.ornl.gov/sci/fed/Fusion-Facts/fusn.htm Oak Ridge National Laboratory (ORNL), “Fusion Facts” http://web.ornl.gov/sci/fed/Fusion-Facts/fusn.htm Oak Ridge National Laboratory (ORNL), “Fusion Facts” http://web.ornl.gov/sci/fed/Fusion-Facts/fusn.htm . Fusion uses a fuel that is so plentiful in our oceans that it could last us for hundreds of millions of years. Fusion would give us more energy out of less fuel than any other type of power that we currently use. This is why fusion is getting so much attention “Fusion: Endless Energy” by Seth Ensign(2002)http://www.bucconeer.worldcon.org/contest/2002e_f1.htm “Fusion: Endless Energy” by Seth Ensign(2002)http://www.bucconeer.worldcon.org/contest/2002e_f1.htm “Fusion: Endless Energy” by Seth Ensign(2002)http://www.bucconeer.worldcon.org/contest/2002e_f1.htm . There are also some other advantages. Fusion gives off very little radioactivity; there is no need for underground storage, and there is no environmental risk of high radio-active fuel leakage in case of accident. A plant producing electricity from a nuclear fusion reaction could provide base load power with little adverse environmental impacts International Energy Agency(IEA), “Nuclear Fission and Fusion”http://www.iea.org/topics/nuclearfissionandfusion/ International Energy Agency(IEA), “Nuclear Fission and Fusion”http://www.iea.org/topics/nuclearfissionandfusion/ International Energy Agency(IEA), “Nuclear Fission and Fusion”http://www.iea.org/topics/nuclearfissionandfusion/ . 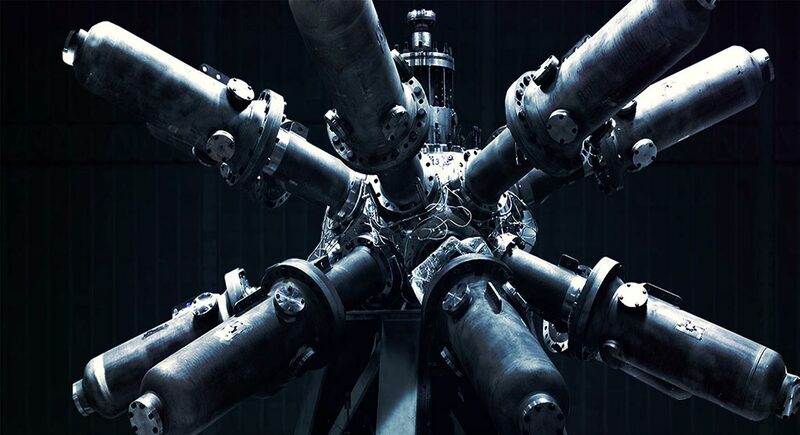 A recent experiment has shown that nuclear fusion can be achieved, however, it has not yet been successfully demonstrated on a commercial scale. While fusion power clearly has much to offer when the technology is eventually developed, there are still many technological problems that would need to be overcome in order to make this energy source a reality. Sorry, we do not yet have a video specifically for Fusion. We are adding new videos to StudentEnergy.org weekly, but in the meantime check out this video on Nuclear.